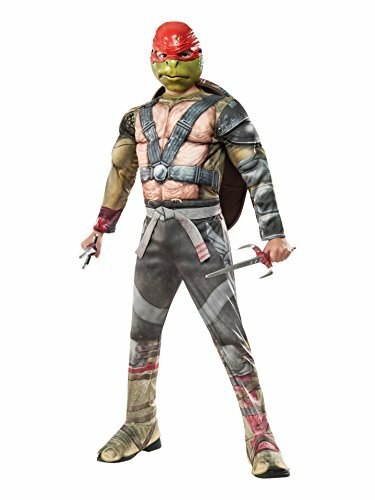 Rise of the Teenage Mutant Ninja Turtles Deluxe Raphael Child's Costume. 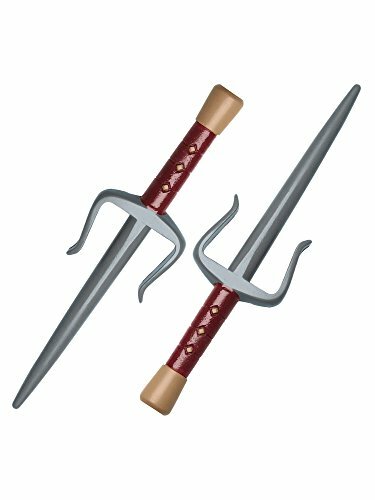 Family owned and operated since 1950, Rubie’s Costume Company is the largest designer, manufacturer and distributor of Halloween costumes and accessories in the world! Remaining true to the founders’ vision by continually offering innovative products and a variety of styles for the whole family to enjoy, including pets! 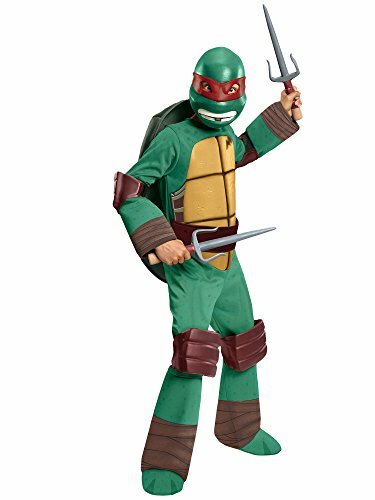 Your little one will be ready to take on the evil Shredder with our Teenage Mutant Ninja Turtles Raphael Halloween Costume for Infants. 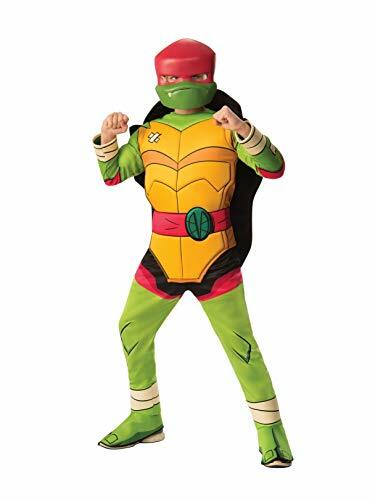 This TMNT costume comes with a green poly-knit jumpsuit with shell detailing on the front and printed red elbow and knee pads. 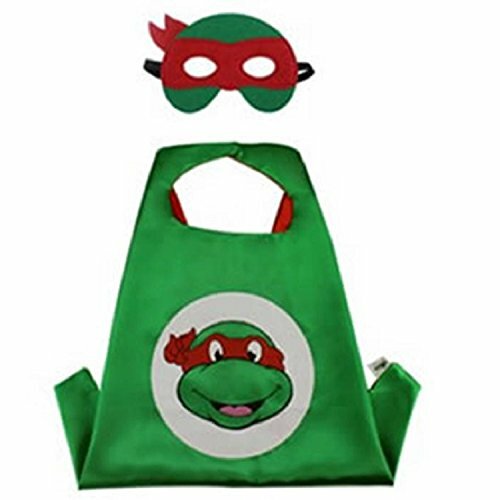 Your little guy can wear the shell like a backpack! 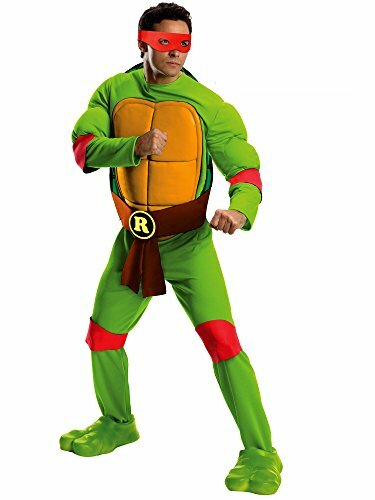 The Teenage Mutant Ninja Turtles hat features Raphael's face printed on the front with a tie on the back that's sure to keep him warm during a night of trick or treating. 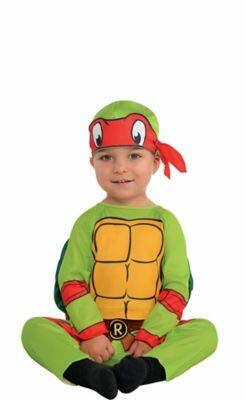 This officially licensed Nickelodeon Teenage Mutant Ninja Turtles Costume will make your baby boy the cutest turtle in town.